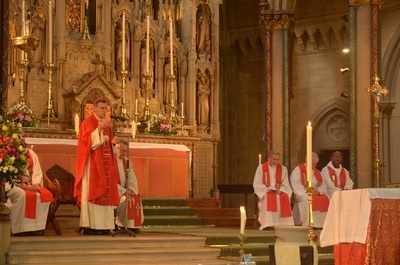 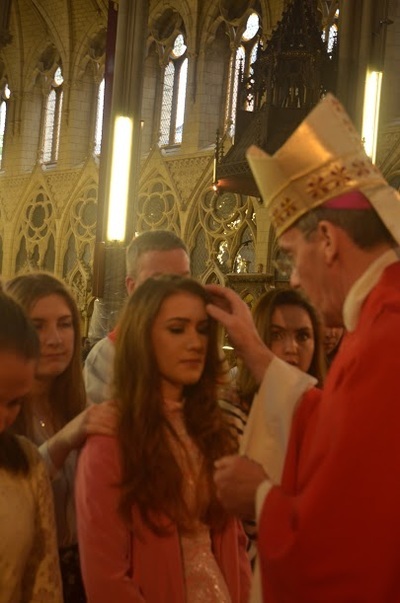 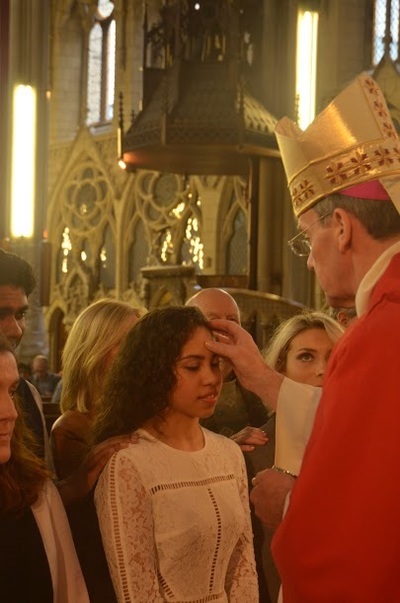 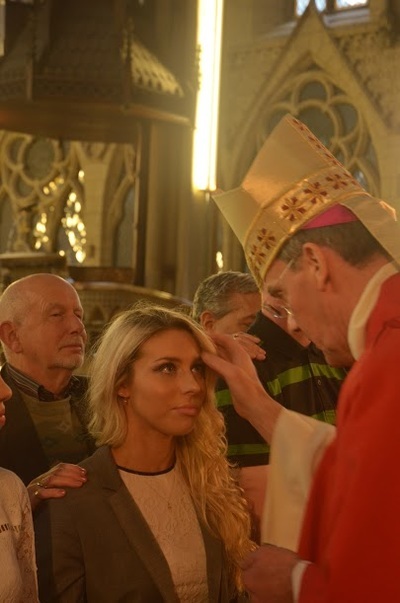 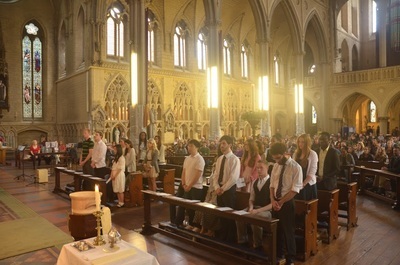 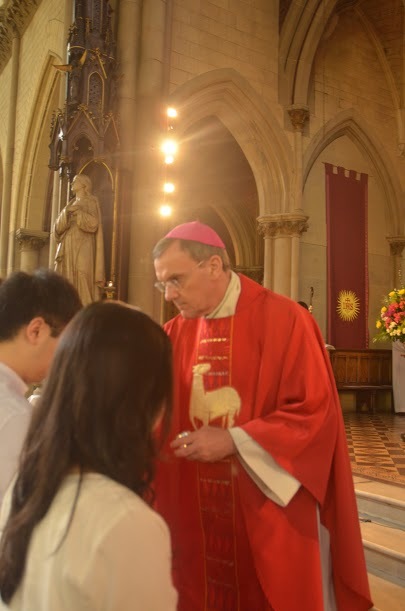 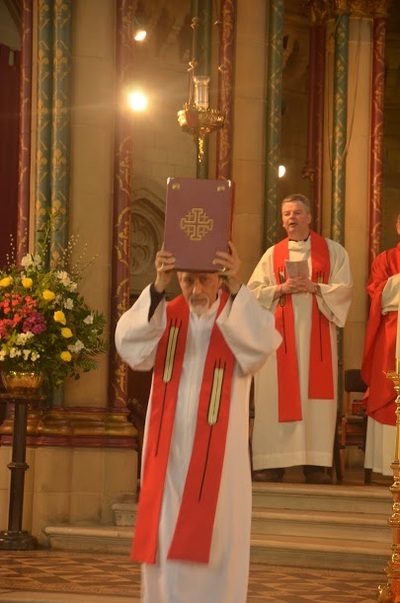 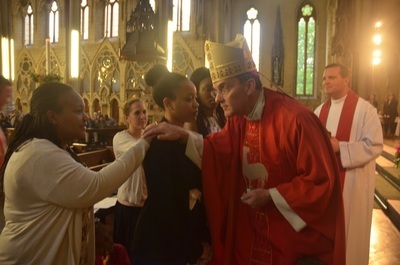 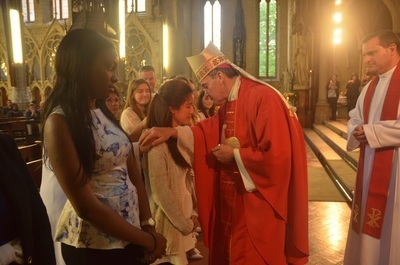 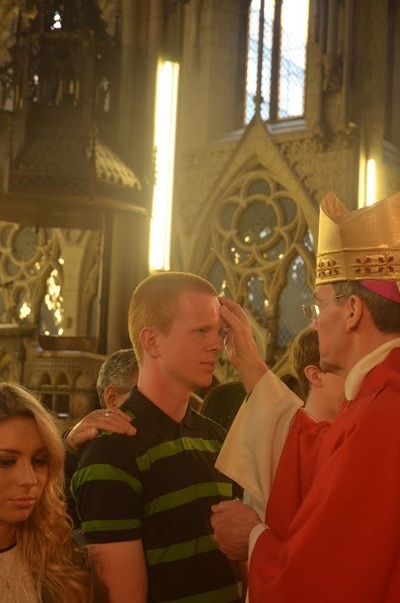 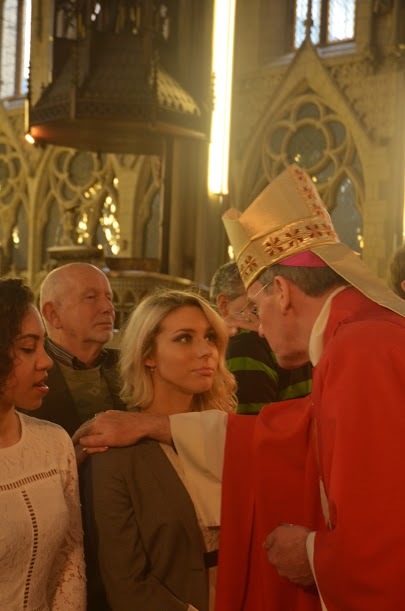 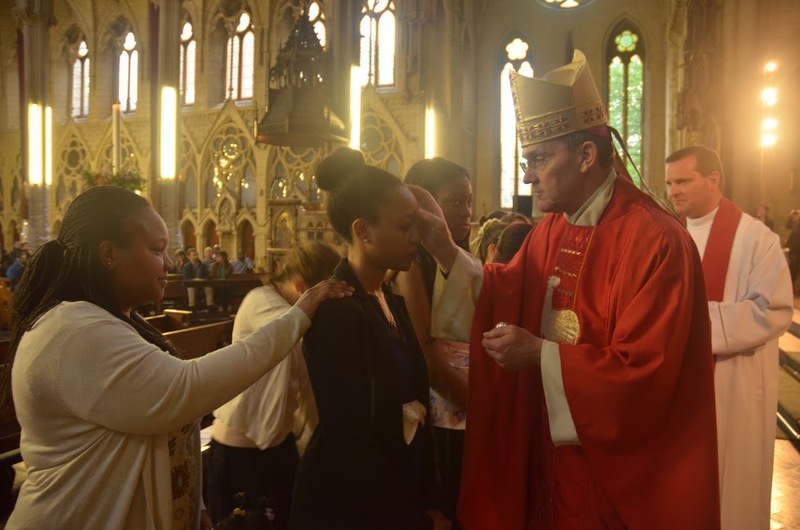 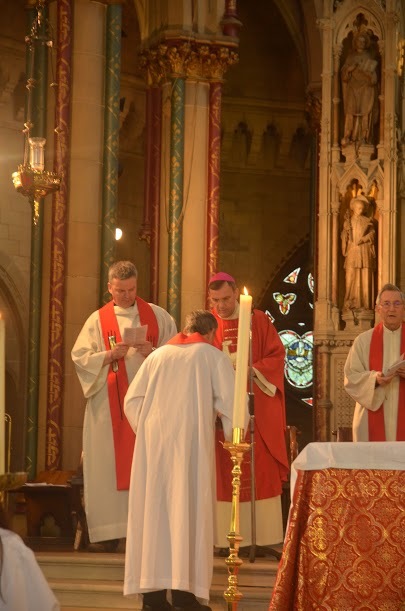 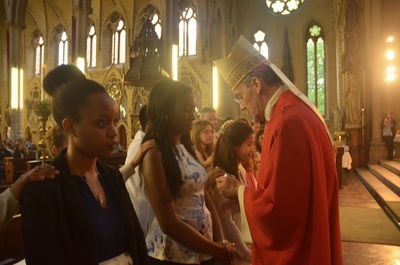 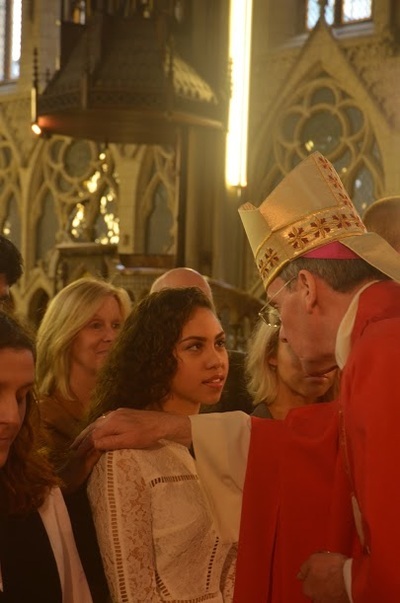 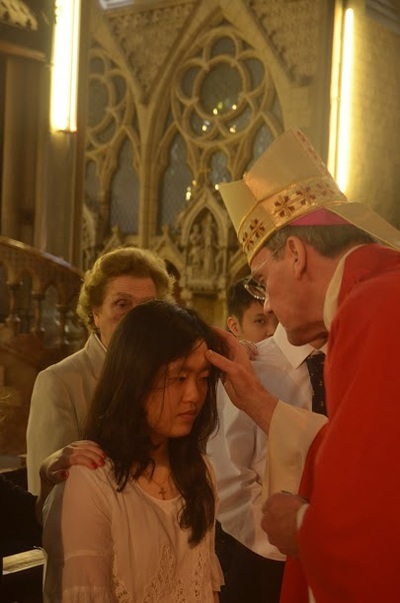 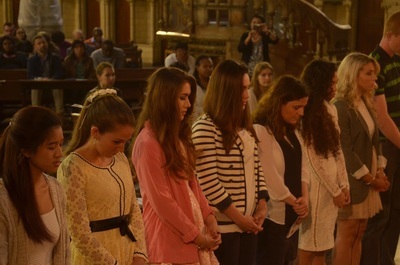 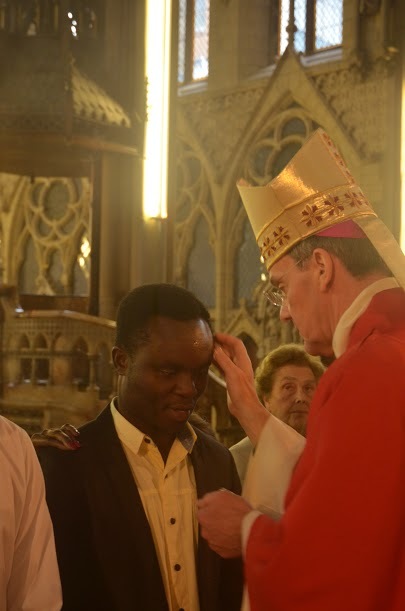 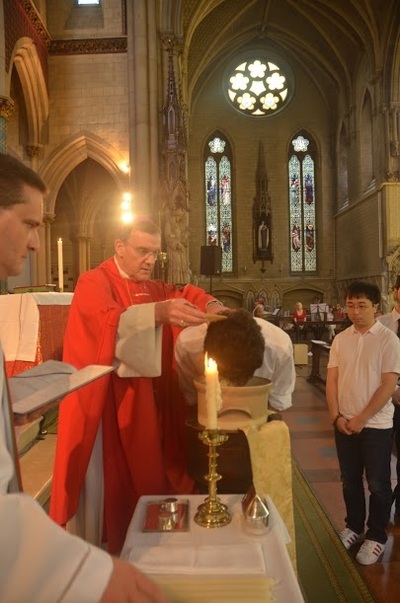 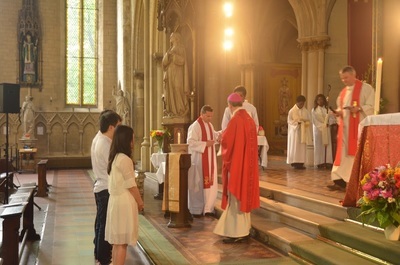 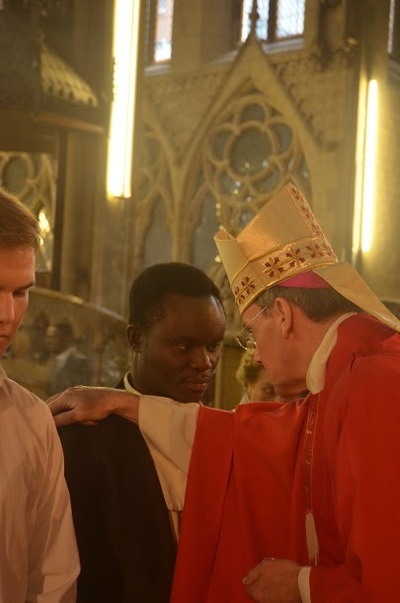 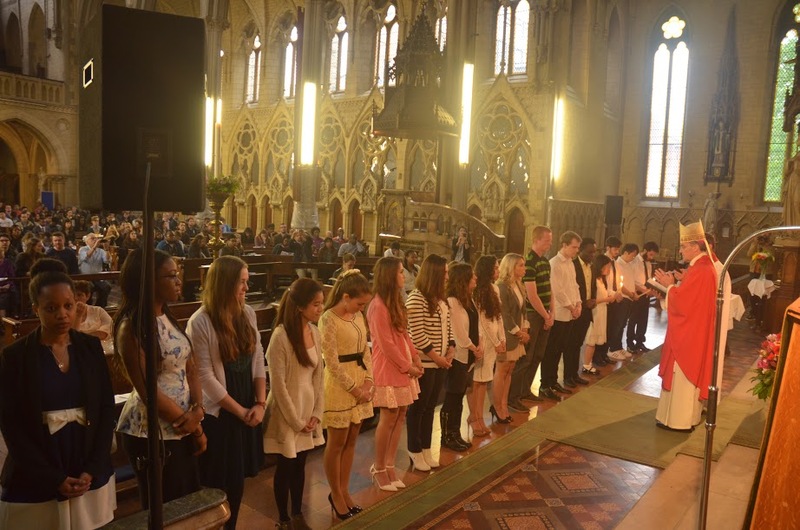 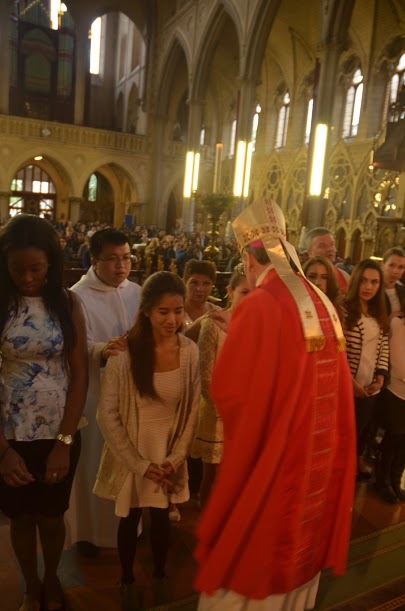 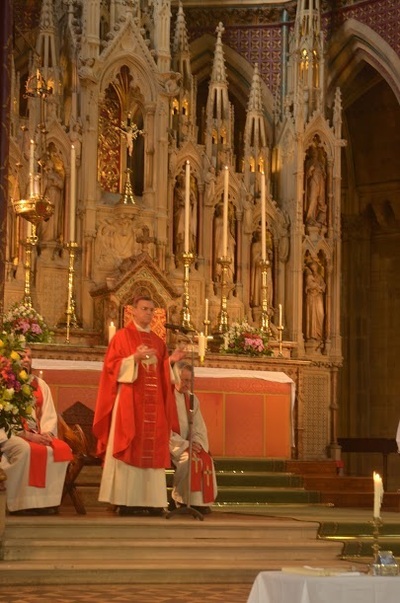 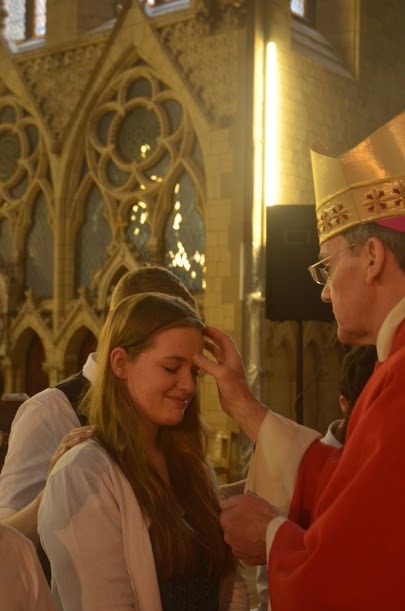 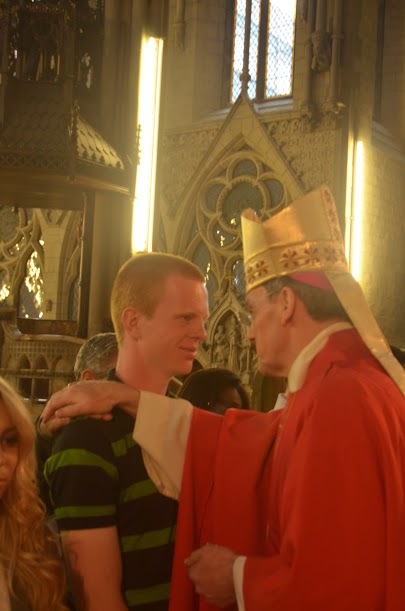 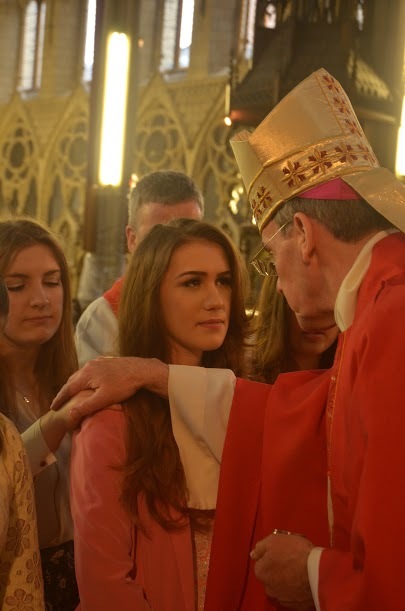 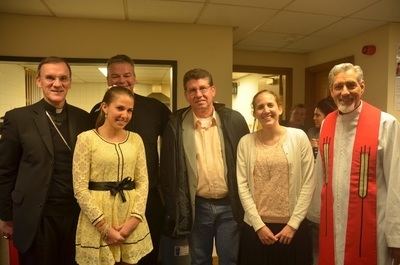 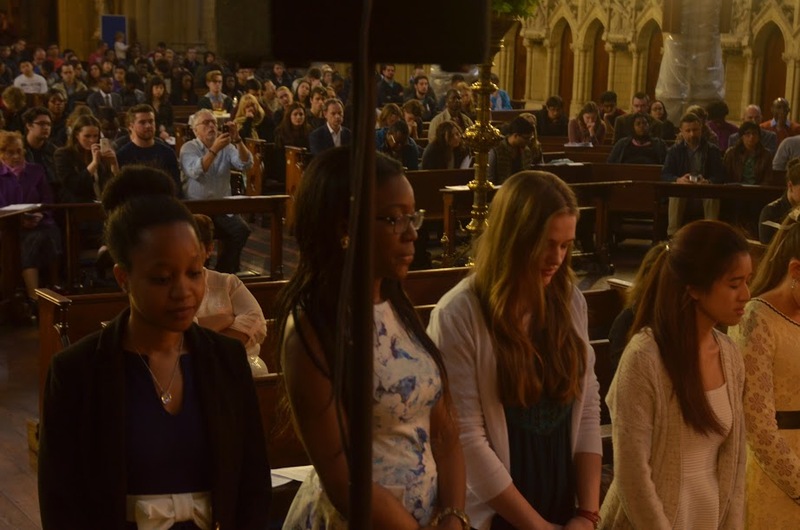 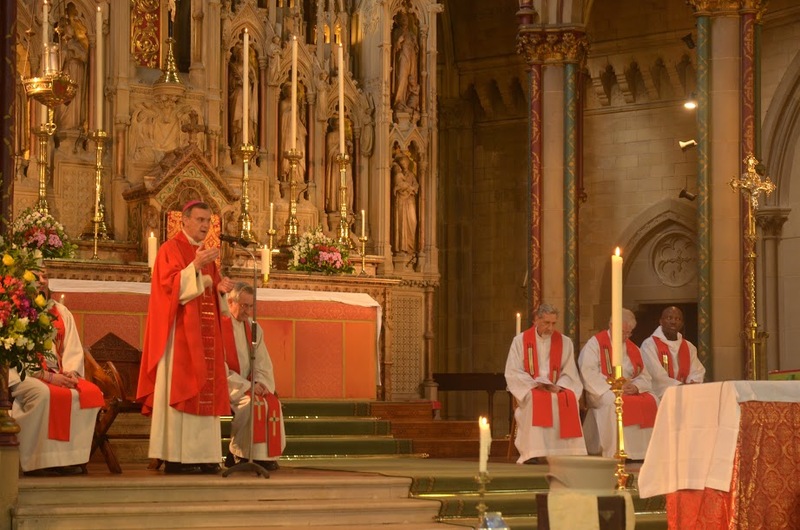 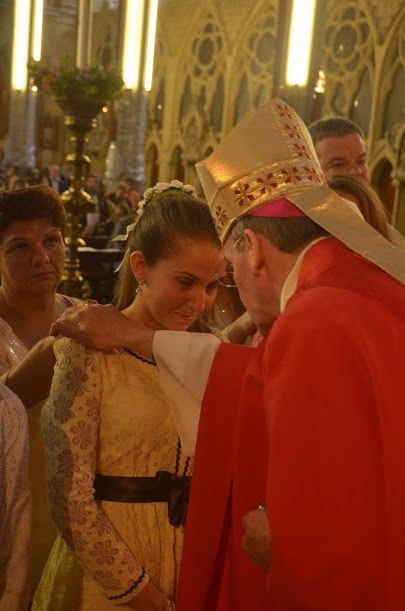 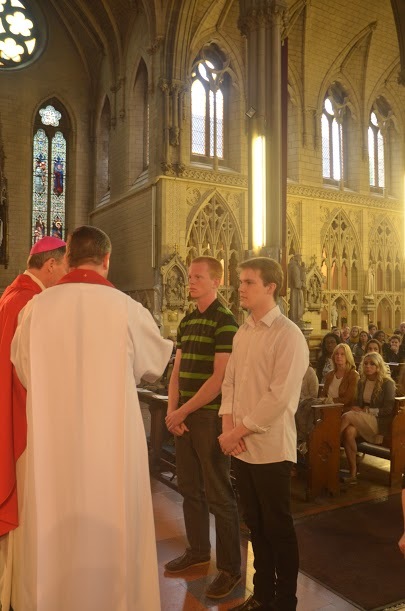 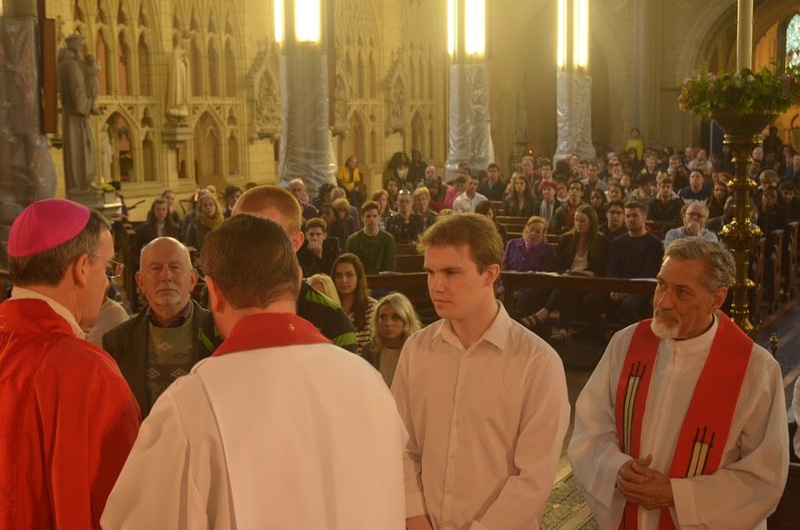 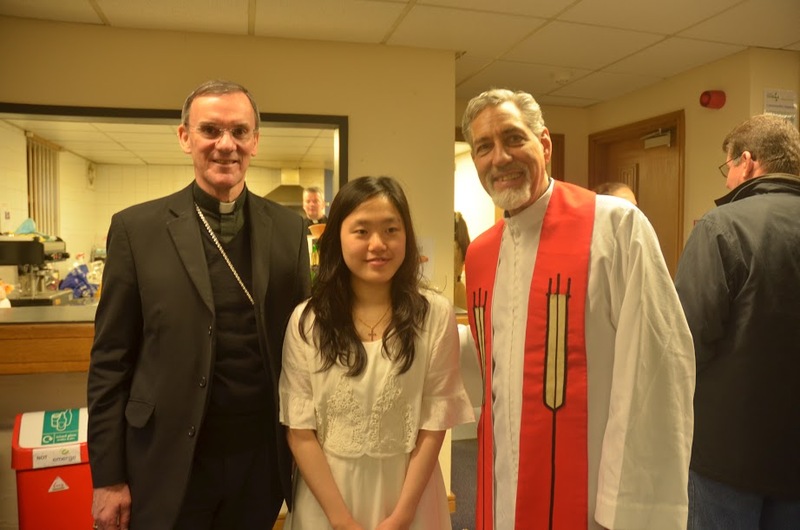 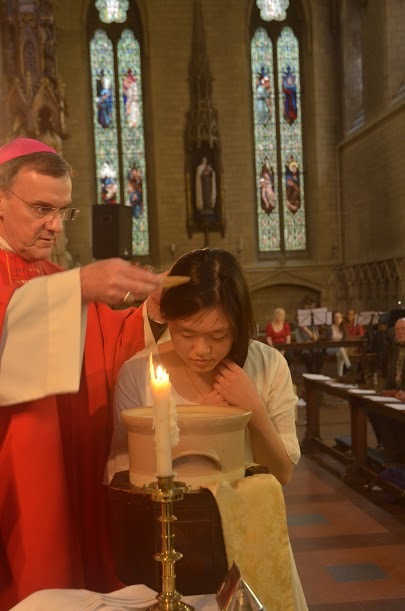 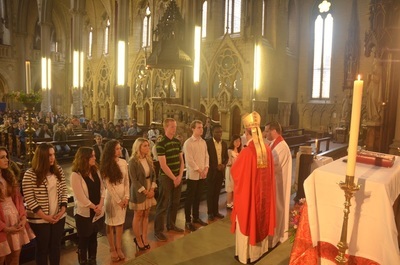 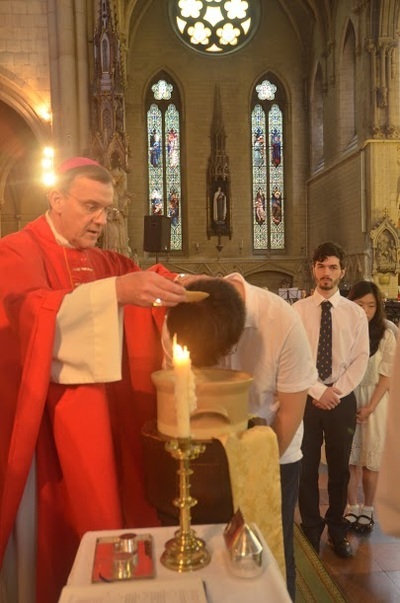 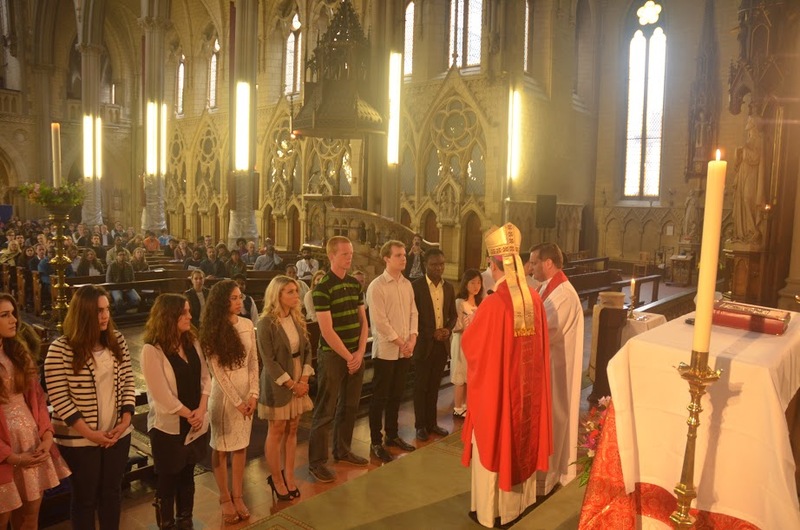 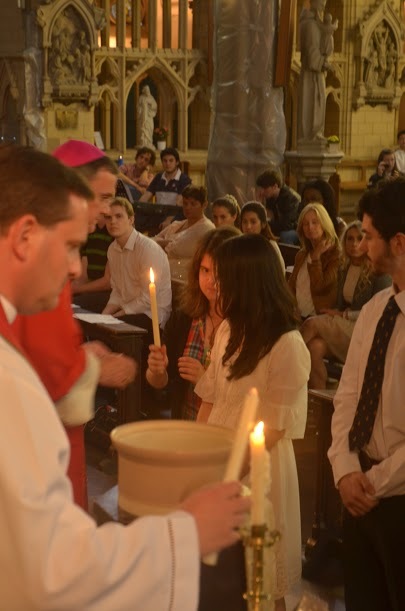 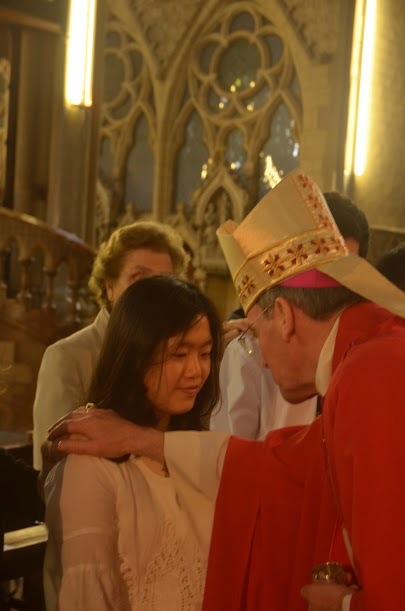 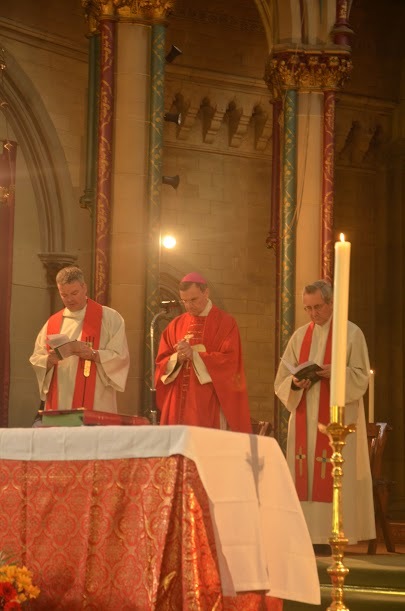 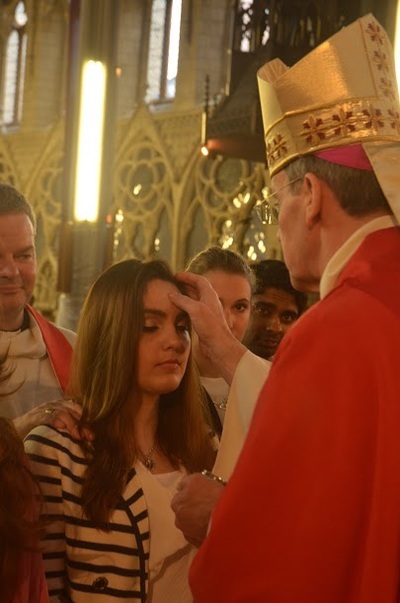 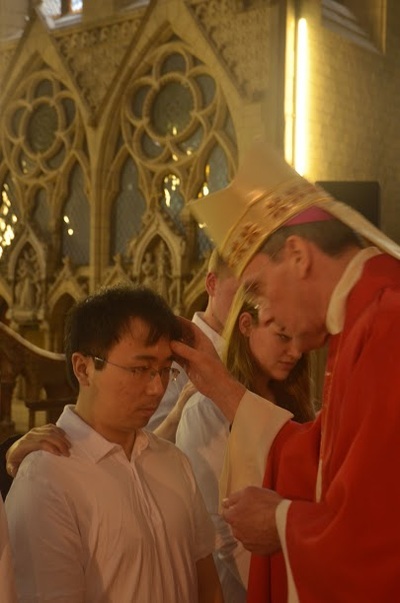 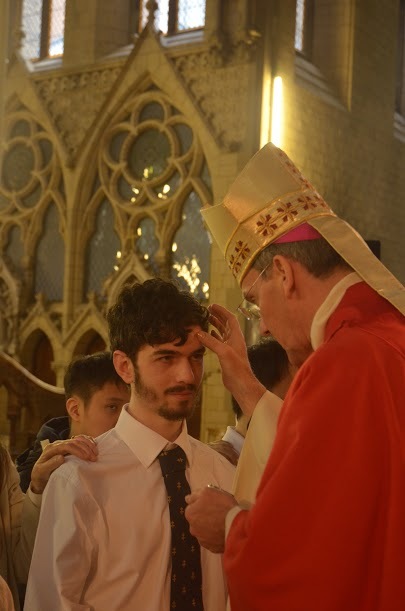 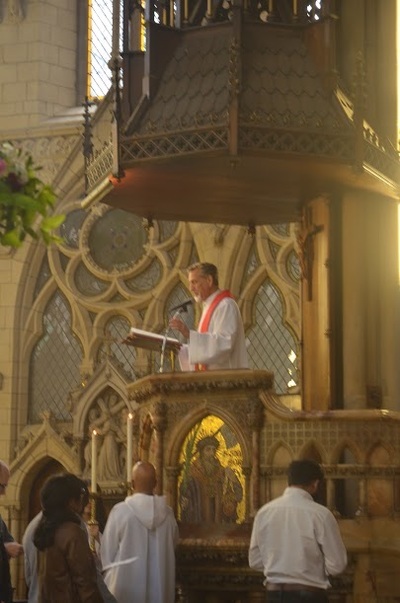 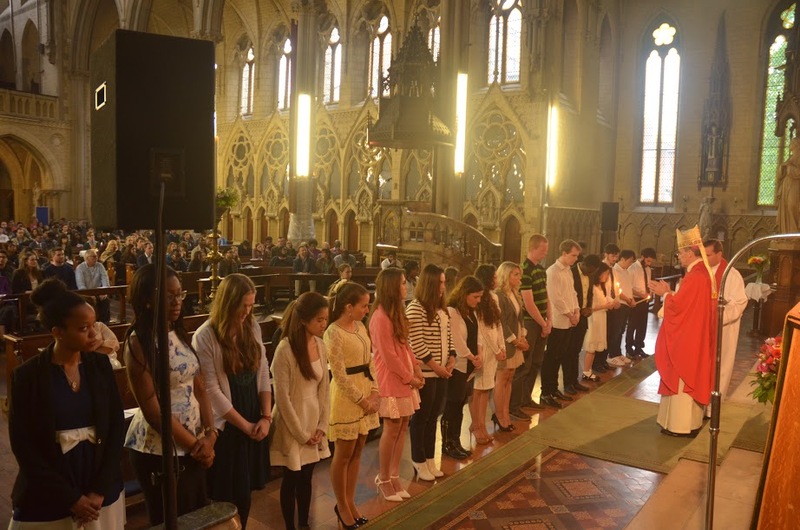 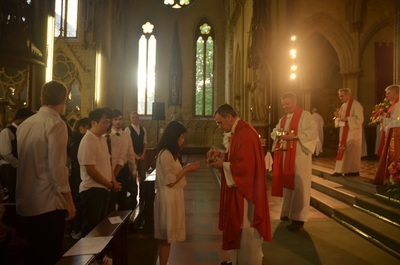 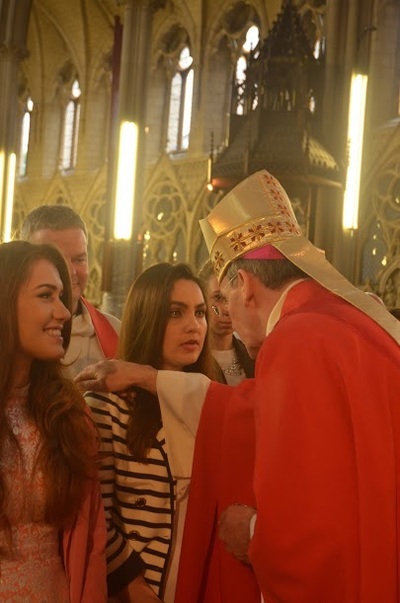 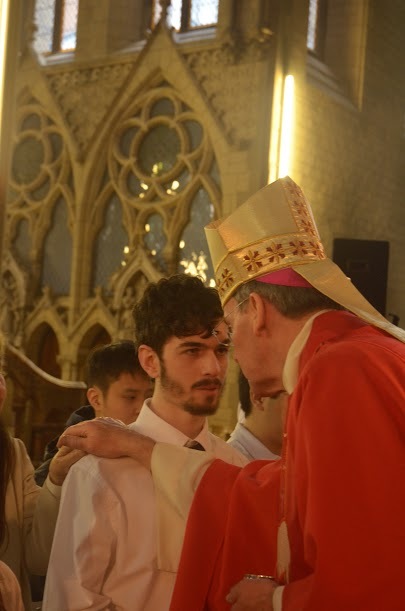 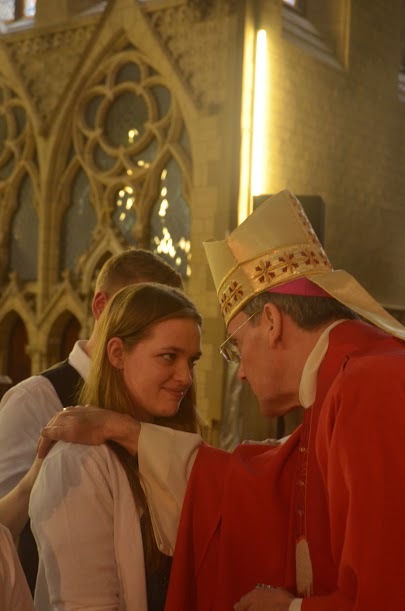 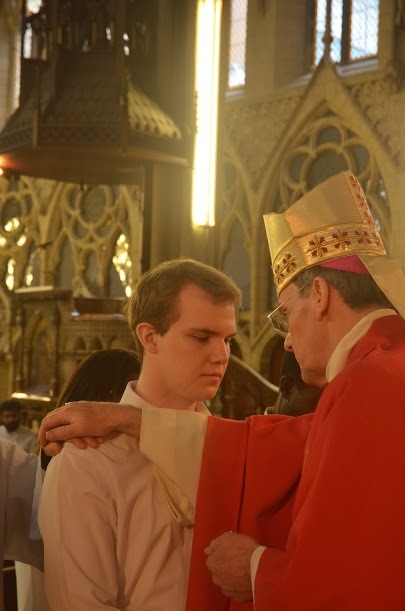 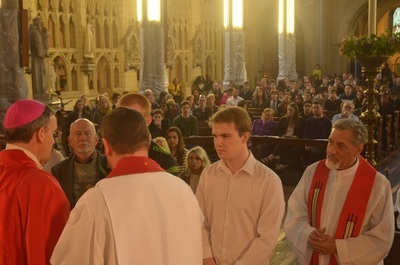 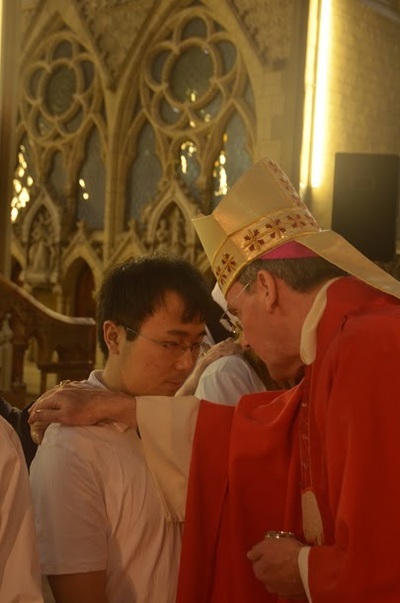 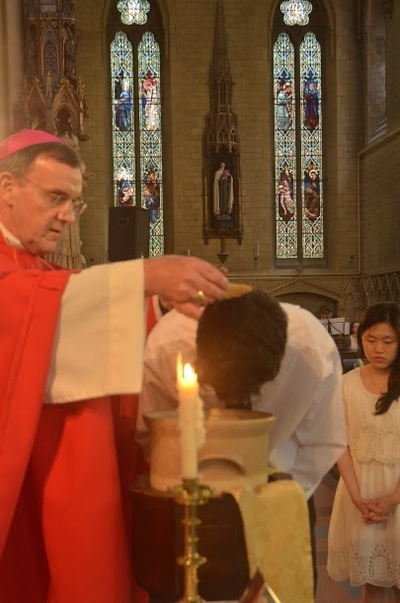 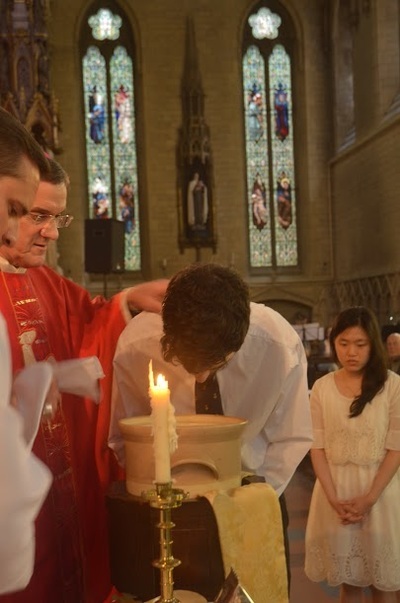 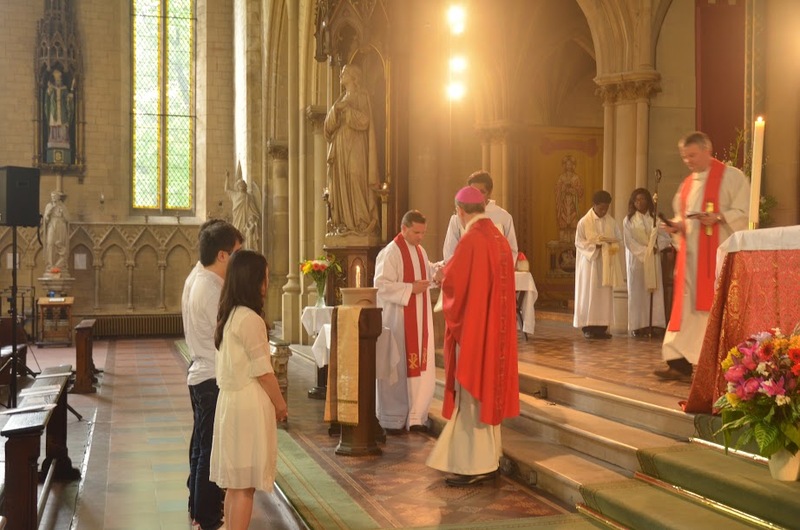 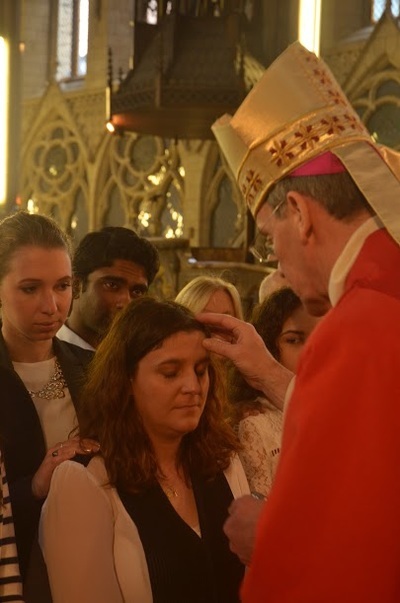 At Pentecost 18 of our students celebrated the sacraments of initiation with Bishop John Arnold in the Holy Name. 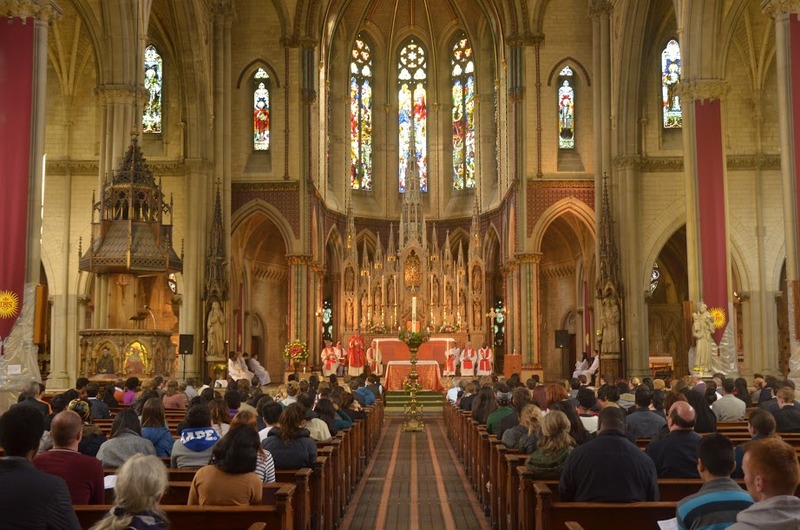 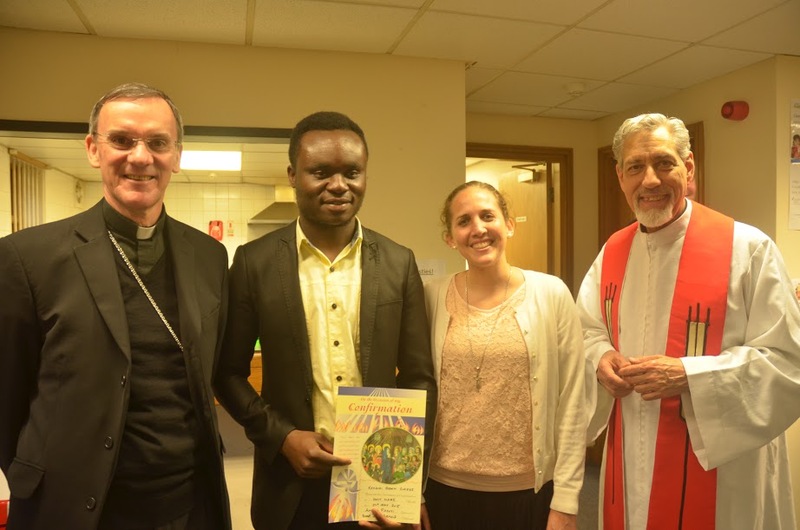 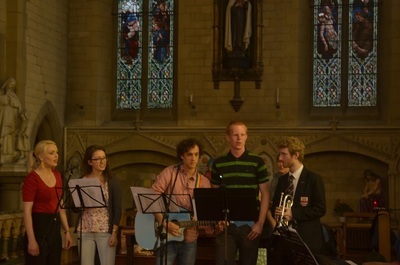 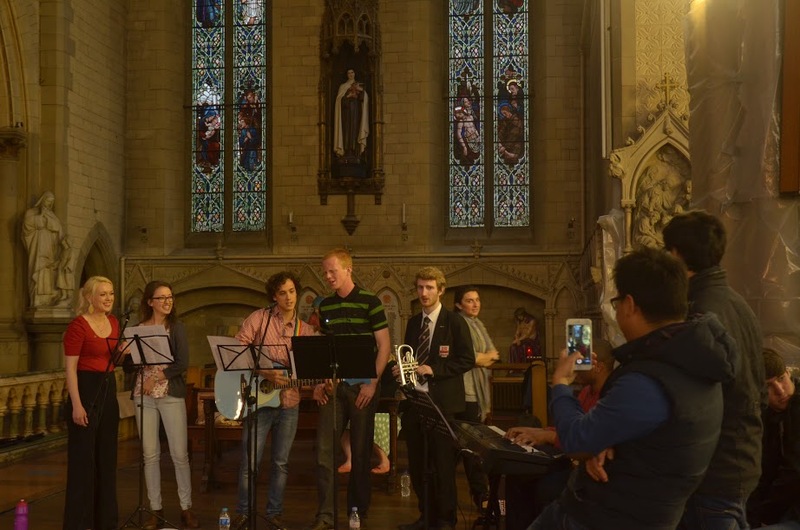 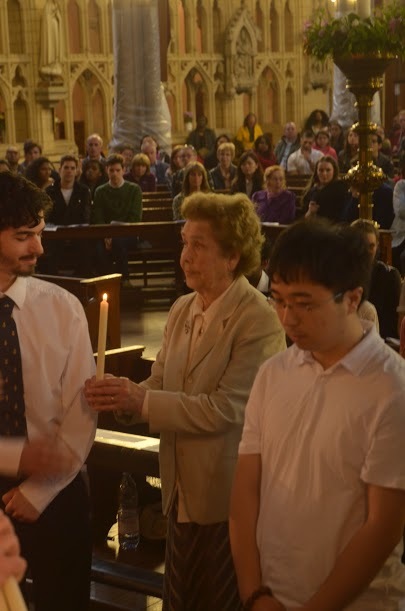 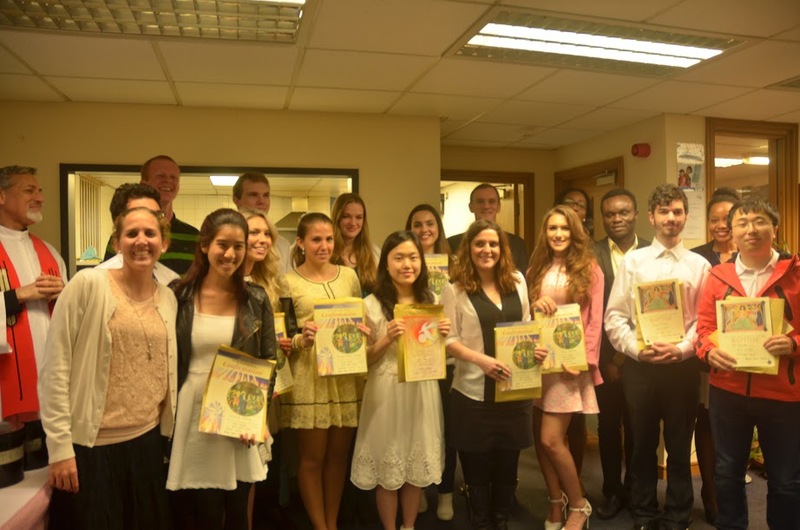 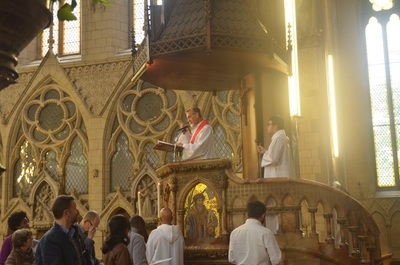 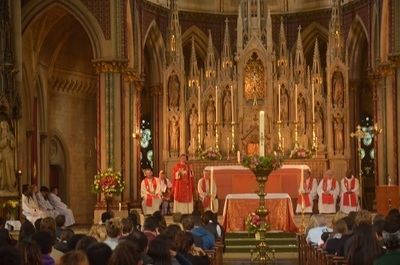 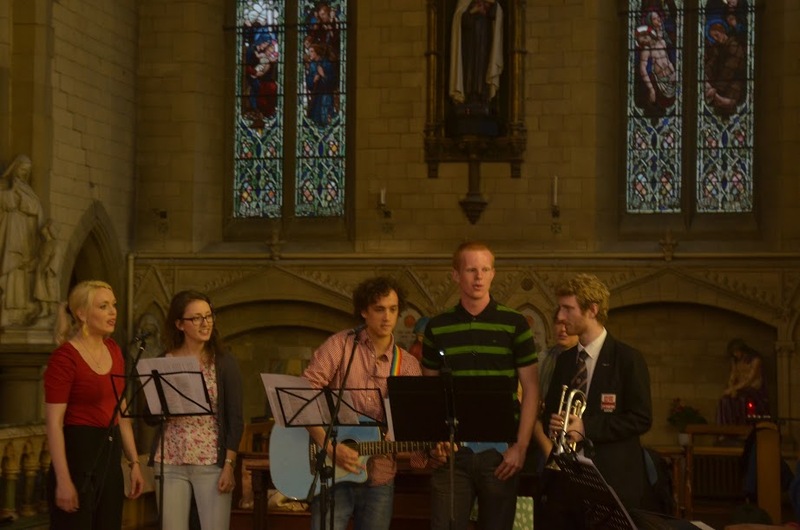 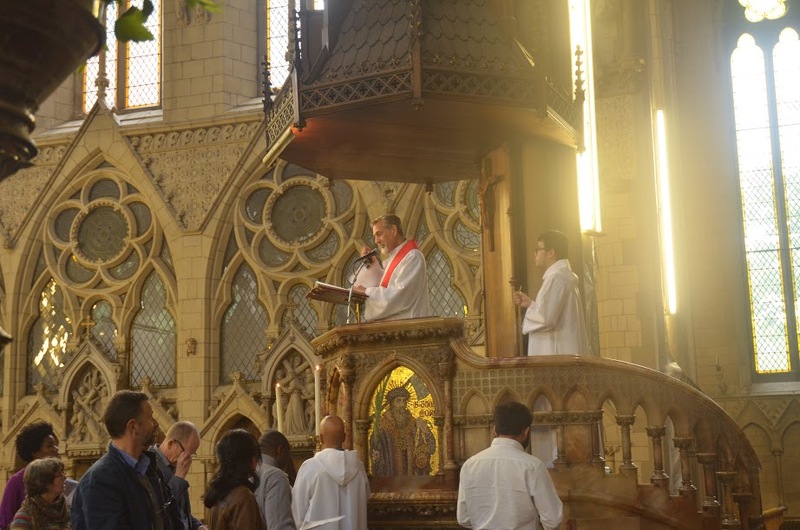 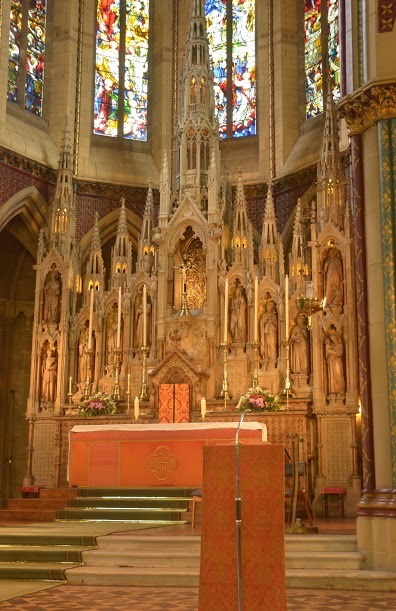 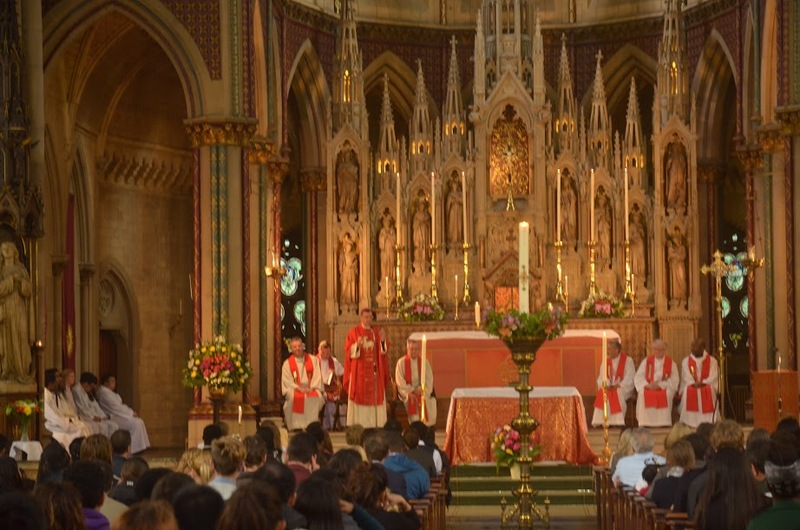 They were presented to the congregation during the 7.00pm Mass on Sunday 24th May. Friends and family joined them for this special day and enjoyed a wonderful dinner and evening reception in the Chaplaincy after the mass.